Since 1875, Canadian courts have been permitted to act as advisors alongside their ordinary, adjudicative role. 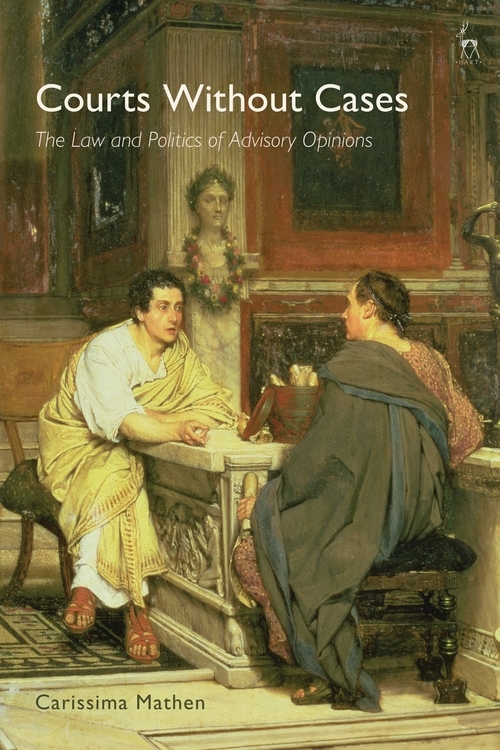 This book offers the first detailed examination of that role from a legal perspective. When one thinks of courts, it is most often in the context of deciding cases: live disputes involving spirited, adversarial debate between opposing parties. Sometimes, though, a court is granted the power to answer questions in the absence of such disputes through advisory opinions (also called references). These proceedings raise many questions: about the judicial role, about the relationship between courts and those who seek their 'advice', and about the nature of law. 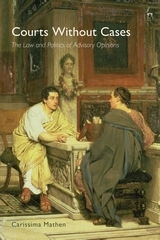 Tracking their use in Canada since the country's Confederation and looking to the experience of other legal systems, the book considers how advisory opinions draw courts into the complex relationship between law and politics. With attention to key themes such as the separation of powers, federalism, rights and precedent, this book provides an important and timely study of a fascinating phenomenon. Carissima Mathen is Professor of Law at the University of Ottawa.